Tesco isn’t typically the type of brand I’d write about on Boudicca, but its Online Field Trips are so cool that I had to write a piece about it. Using Google’s Connected Classrooms (which is powered via a Google+ Hangout), the supermarket broadcasts live from a different food producer every fortnight. Schools can watch and ask questions live via a special section of the Eat Happy initiative website, which is Tesco’s long-term commitment to help children have a better relationship with food. It’s free for schools to sign up; then Tesco will help set up the technology you need to get started and get the most from the experience. Teachers can download free, curriculum-based lesson plans and tailored resources for every episode and tune in live at 1.30pm each time to learn how different foods get from farm to fork, or explore the archive of previous episodes. Upcoming broadcasts are listed on the site so schools can work out how to prepare for the sessions, and each listing includes the key learnings in advance plus links to extra downloadable resources. 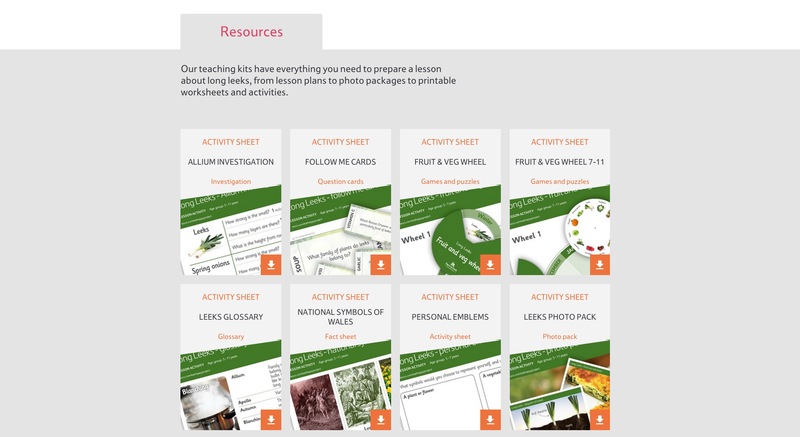 These are vast and varied, including activity sheets, photos, fact sheets, glossary and lesson plans (for 5-7 year olds, then another for 7-11) alongside much more. For instance, the next broadcast is on January 21st from Deeside Farm in Flintshire, Wales on ‘Long Leeks’. Key learning points the kids will know by the end of the broadcast are; ‘I know how leeks are grown and harvested’, ‘I know that leeks are the national symbol of Wales’, ‘I know that leeks are an allium and what that means’, ‘I know how leeks are eaten’ and ‘I know why leeks are good for me’. All of the 38 previous episodes are available to watch on the site, and to date 20,485 children have taken part. You can also view all of the videos on the Eat Happy Project YouTube channel (which seriously needs some help on the promotion side of things by the looks it), including clips from the shows and extra content. I can’t tell you how much I love this initiative. This for me is a brand using their size, reach and spend to do something truly valuable for kids across the UK. I salute you Tesco; this is not only helping to educate our children about where their food comes from, but also gives teachers the resources they need to make learning about food easier, fun and more interactive. Awesome work; well done.